Those flaws are one reason EFF is challenging Section 1201 in court on behalf of researcher Matthew Green and technologist Andrew “bunnie” Huang. In the lawsuit, filed last year, we explain why Section 1201 is an unlawful restraint on speech and ask the court to strike the law down. Congress has also considered several fixes to the law over the last few years, ranging from comprehensive fixes to smaller corrections. Meanwhile, after the last rulemaking, the Copyright Office asked for public comments and held hearings about Section 1201, leading to the report released on Thursday. In the report, the Copyright Office announces its belief that “the statute’s overall structure and scope . . . remains sound.” The Office also believes that bypassing access controls can violate Section 1201 even when the purpose of the circumvention has nothing to do with copyright infringement. Federal appeals courts are sharply divided on this question, and the Copyright Office seems to be putting its thumb on the scales in favor of rightsholder control and against freedom of expression and innovation. If a Section 1201 violation can happen without any connection to copyright infringement, then Section 1201 gives copyright holders (and DRM vendors) vast control over technology users, beyond what copyright law already gave them. 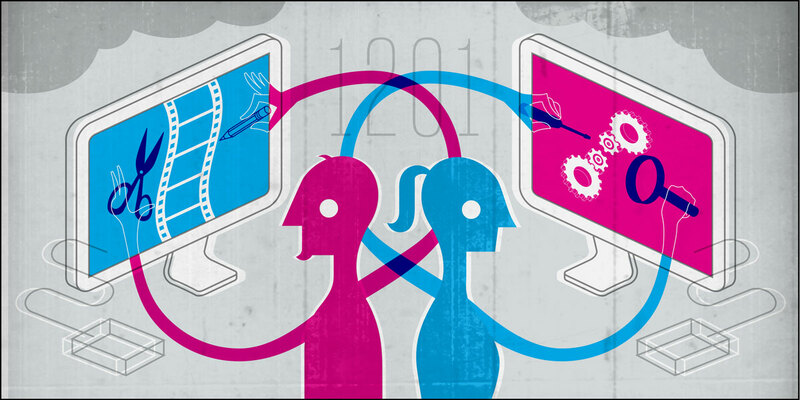 According to the Copyright Office’s interpretation, Section 1201 gives copyright holders “control over the terms of access to their works online.” That means that by wrapping software, music, games, video, or text in a layer of DRM, copyright holders gain the ability to dictate when, where, and how we can use those things, and the technology we can use to interact with them. And it means that copyright holders can nullify the public’s fair use rights. The Copyright Office’s approach here is the wrong approach, and it deepens the law’s constitutional problems. The report is also notable for what it doesn’t contain: any evidence that we need a ban on circumventing digital locks in the first place. The report points out that “explosive growth in legitimate digital content delivery services” happened “after the enactment of Section 1201,” but it doesn’t attempt to show that the law was what caused that growth. It also mentions a statement by a Senate committee in 1998, that “copyright owners will hesitate to make their works readily available on the Internet without reasonable assurance that they will be protected against massive piracy.” Today, of course, the Internet contains many lifetimes worth of amazing creative work of all kinds, made available by creatives without any DRM, so that prediction did not come true. The report doesn’t cite any studies or data showing that Section 1201 has been beneficial to creativity or the digital economy. And the only experts it cites to are entertainment companies with an interest in keeping the control that 1201 provides them, and the same members of Congress who requested the report in the first place—hardly a convincing case. The report does make some recommendations for fixing the law, including new and expanded exceptions to the ban on circumvention. The Copyright Office recommends that Congress expand the permanent exemptions for security testing and encryption research, by removing or mitigating restrictions in those exemptions that have made those exemptions too uncertain for many in the computer security community to rely on. The report also recommends a new permanent exemption for assistive technologies for people with disabilities. That change is overdue, as advocates for print-disabled people have had to request exemptions for screen-reading and other assistive technologies every three years for nearly two decades. In the last rulemaking cycle, EFF and other organizations requested exemptions covering maintenance, repair, and modification of software. One of the unfortunate effects of Section 1201 in recent years has been to cast a cloud of legal uncertainty over repair businesses ranging from cars to smartphones, and to block the re-use of devices like phone handsets and printer cartridges. The Copyright Office report recommends a new permanent exemption covering “diagnosis, maintenance, repair, and obsolescence” activities, not limited to any specific technologies. That would be a positive step. But the report rejects an exemption for modifying software for other reasons, such as to improve or customize the software. That’s a problem, because those activities are largely legal and beneficial, aside from the legal risk created by Section 1201. Finally, the report offers some fixes to the rulemaking process for temporary exemptions that happens every three years. Notably, the Copyright Office will offer a way to renew exemptions from previous cycles with what they claim will be minimal time and expense. We’re expecting the Copyright Office to begin a new rulemaking cycle soon, so we’ll get to see how well this works in practice and whether they are able to make the process less expensive. In several places in the report, the Copyright Office offers to try to make temporary exemptions broader and more useful to the populations they affect. We’ll be holding them to that. However, the Copyright Office still insists that it should be unlawful for anyone to distribute tools to allow beneficiaries of rulemaking exemptions to take advantage of the exemption, because “it would be impossible to control” subsequent uses of such tools. The real, proven need for circumvention has to take a back seat to the hypothetical scenario where the beneficiary then decides to infringe. It’s too bad the Copyright Office won’t address the fundamental flaws of Section 1201, especially given the multitude of problems that the report acknowledges. A simple, comprehensive fix like the Unlocking Technology Act introduced by Rep. Zoe Lofgren would solve many of the problems that Section 1201 causes for security professionals, tinkerers, people with disabilities, repair and resale businesses, teachers, students, libraries, and many others. A piecemeal approach will solve just a few of the current problems, at the cost of ever more complexity and a continuing demand for massive public interest resources to make the exemption process work. Congress, or the courts, should do more.